When it comes to house renovations, for many of us it’s simply a case of adding an extension or knocking down a few internal walls. But for the owners of this stunning Mill House property in the tranquil English countryside, their starting point was a working farm full of character and history. 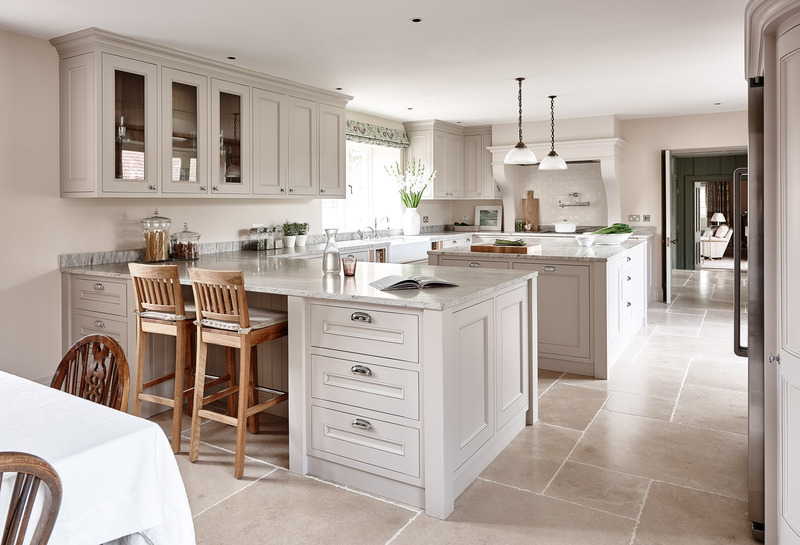 What was once a former pigsty, Mill House slowly but surely evolved into a warm, welcoming family home as the various outbuildings were joined together to create a sprawling U-shaped layout. 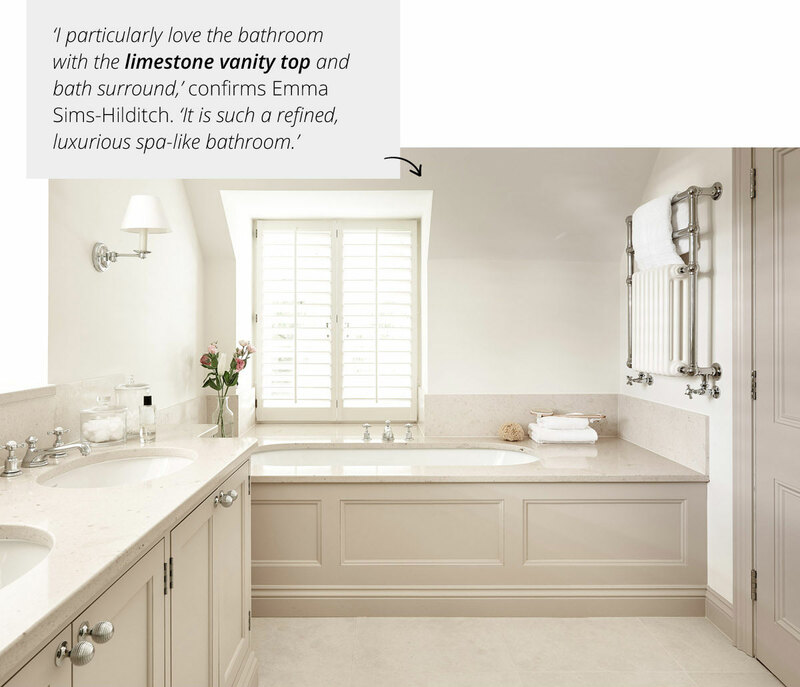 It may have had unconventional beginnings but the property is now packed with heritage and natural beauty throughout, thanks to a sympathetic interior design by Sims Hilditch, which features stone tiling by Artisans of Devizes throughout. 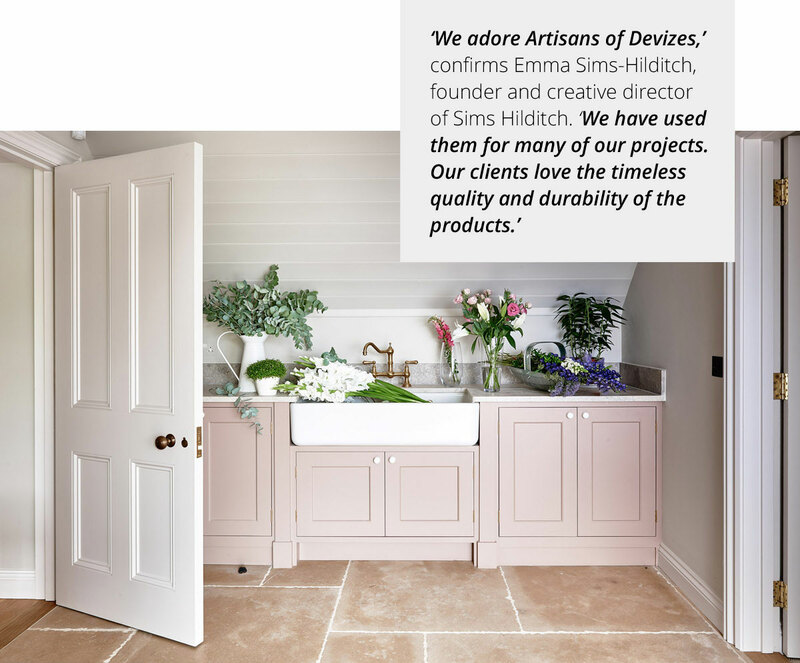 Renowned for championing a fresh approach to a new English look, Sims Hilditch specialise in designing rooms that are both classic and comfortable with each project offering a truly bespoke experience. It was only natural then, that Artisans of Devizes were selected to provide the property’s stone flooring. 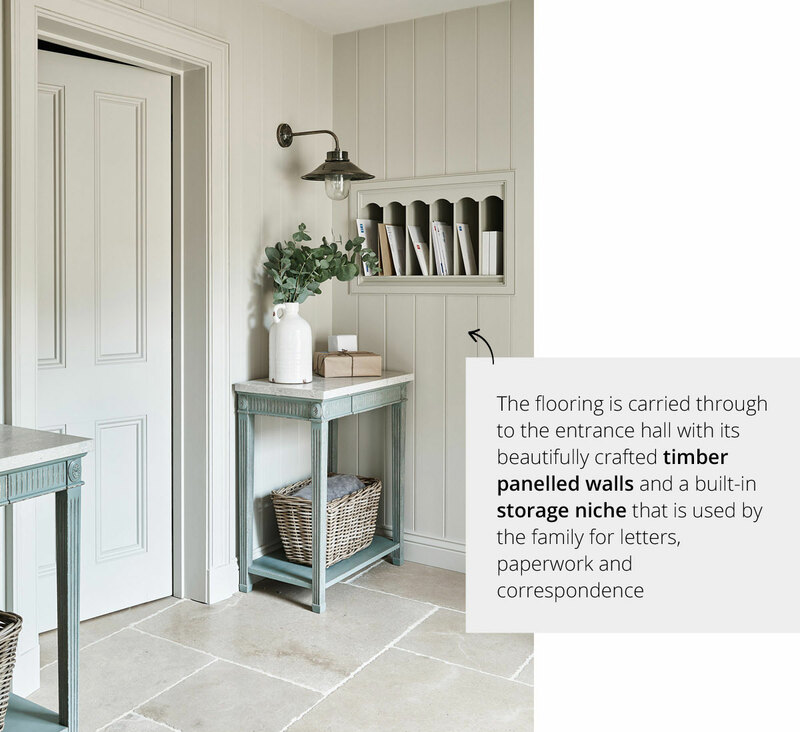 The brief for the overall design of Mill House was that it had to include a sense of flow, so Sims Hilditch reconfigured the original floor plans and introduced a colour palette that focused on subtle hues with plenty of pinks and delicate mauves taking centre stage. Patterned fabrics and wallpaper add texture while a carefully curated collection of antiques and handmade bespoke furniture introduce a sense of cosiness and individuality. Mill House is a prime example of how, with careful planning and a keen eye for colour, texture and finish, what was once a jumble of industrial outbuildings can organically become a stunning family home full of life and character. With special thanks to the team at Sims Hilditch.